Applies Smoothly and Blends Easily! 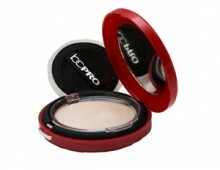 Created using the latest research and technology, use Deluxe Blush for sheer, blushing colors. 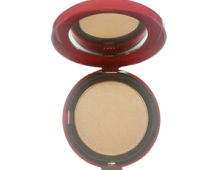 It will give you a clear, glowing, see-through color that looks natural and never heavy. Apply Blush with a brush to cheekbones, forehead, and as advised by a professional makeup artist. TIP: For the most professional look, blend color well. No line of demarcation should be visible between contour, blush and highlighter shades. Talc, Mica, Methicone, Caprylic /Capric Triglyceride, Zinc Stearate, Dimethicone Copolyol, Nylon-12, Octyl Stearate, Stearoxy Dimethicone, Dimethicone, Methylparaben, Propylparaben, Triclosan. May Contain: Iron Oxides (CI 77491, CI 77492, CI 77499), Titanium Dioxide , D&C Red #7 (CI 15850 1), FD&C Yellow #5 (19140) , D&C Red #22 (CI 45380), FD&C Red #28 (CI 45410), D&C Red #30 (CI 73360), FD&C Red #33 (CI 17200), D&C Red #34 (CI 15880), FD&C Yellow #6 (CI 15985), FD&C Blue #1 (CI 42090), Bismuth Oxychloride (CI 77163). Contains Carmine as a Color Additive. PTFE, Silica, Pentaerythrityl Tetraisostearate, Dimethicone, Isopropyl Isostearate, Zinc Stearate, Lauroyl Lysine, Hydrogenated Lecithin, Tocopherol, Methylparaben, Propylparaben, Imidazolidinyl Urea, Ascorbyl Palmitate. May Contain: Mica, Bismuth Oxychloride, Titanium Dioxide, Iron Oxides, Manganese Violet, Ultramarines, D&C Red No. 6 Barium Lake, D&C Red No. 7 Calcium Lake, D&C Red No. 27 Aluminum Lake, D&C Orange No. 4 Aluminum Lake, FD&C Yellow No. 5 Aluminum Lake, FD&C Yellow No. 6 Aluminum Lake, FD&C Blue No. 1 Aluminum Lake. Contains Carmine as a Color Additive.